Trexler Nature Preserve, a premier Lehigh Valley outdoor space, has been maintained by the County of Lehigh since 1935. The 1,108-acre expanse is divided into three ranges: the Northern, the Central and the Southern. In 2015, Wildlands and partners commenced efforts to restore native grasslands and eradicate the Autumn olive, an invasive species that has rapidly overtaken the North Range. Across the country, grassland habitats have declined more rapidly than any other habitat type. This rings true in the Lehigh Valley too, where less than 1,000 acres of grassland remains. Habitat loss due to invasive plants like the Autumn olive threaten many species of birds, insects and amphibians who are dependent on grasslands to survive. Eliminating the dense growth is a lengthy process that first involves mechanically cutting and grinding the hearty plant, then treating the remaining trunk with herbicide. Wildlands is two years into this extensive project and more than 150-acres has been cleared of Autumn olive. The partners have created a tentative schedule for the remaining work. Winter and early spring of 2017 will bring continued efforts to eradicate the Autumn olive. Seeding in areas that have already been mechanically cleared and treated with herbicide are set to begin in spring of 2017. This will include a variety of native grasses, plants and flowers that benefit wildlife. This rotation of cutting, clearing, spraying and planting will continue with all seeding set to be complete by spring of 2018. Temporary closures may occur during the spraying and seeding phases. Partners will coordinate plans and signage as this phase approaches. The Pennsylvania Game Commission has worked for several years to convert the adjacent State Game Lands (SGL) 205 from agricultural fields to native grasslands. The restored grasslands are now inhabited by a variety of native wildlife species that were not previously seen in the area, plus this parcel hosts the highest density of nesting American Kestrel compared to any other game land in the southeast region. 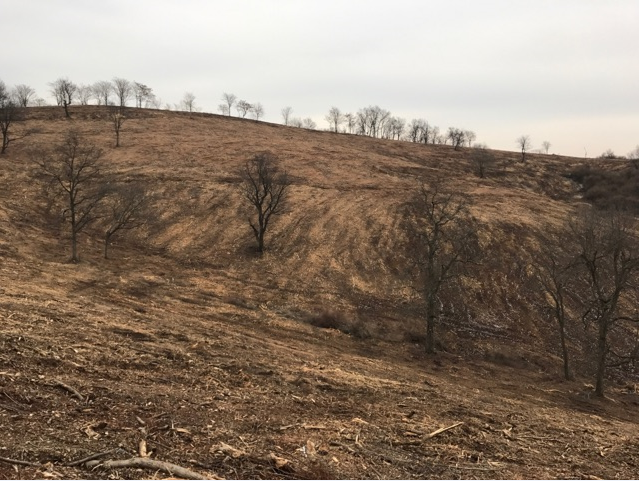 Upon completing the seeding, the Pa. Game Commission will implement long-term management on the North Range grasslands, and equally dramatic results are anticipated. They will utilize prescribed burning techniques to ensure the continued health of the North Range. The practice decimates the roots of the undesirable plants without impeding the return of native grasses and wildflowers. Burns will begin a minimum of three years post planting, with more information released as the time approaches. 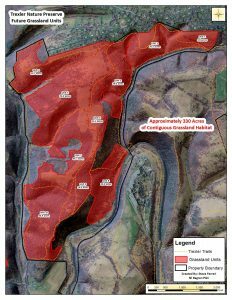 As part of best management techniques, acreage will be divided into plots and burned on a rotation schedule that spans a number of years. 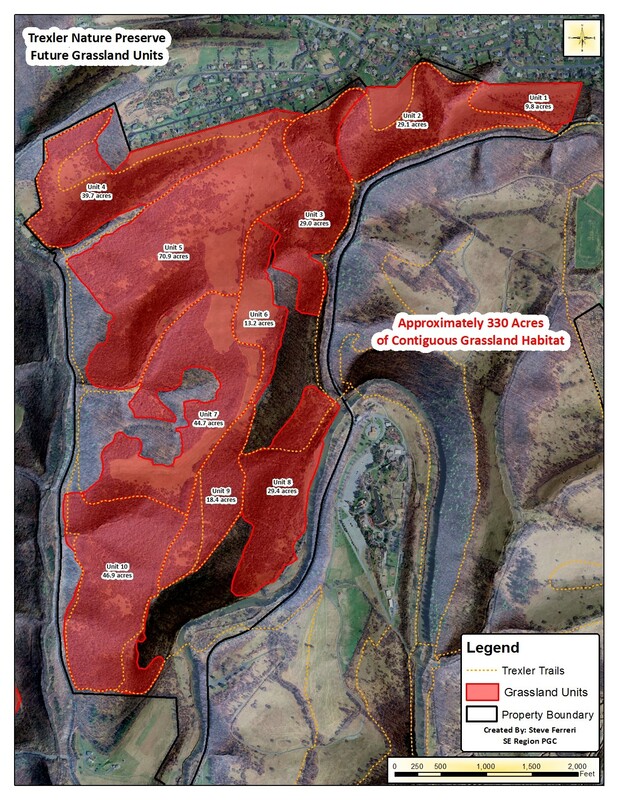 Wildlands, the County of Lehigh and the Pa. Game Commission have maintained a partnership since 2004 aimed at stewarding the conservation value of this popular public space. Other noteworthy efforts include the American chestnut orchard and recent relocation of bison fencing to improve the health of Jordan Creek.